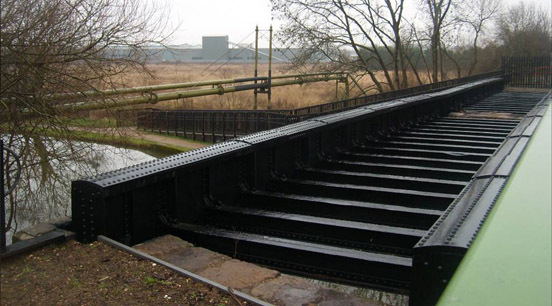 By the 1830’s, 1000 tons of goods were being sent by canal from Birmingham to London. 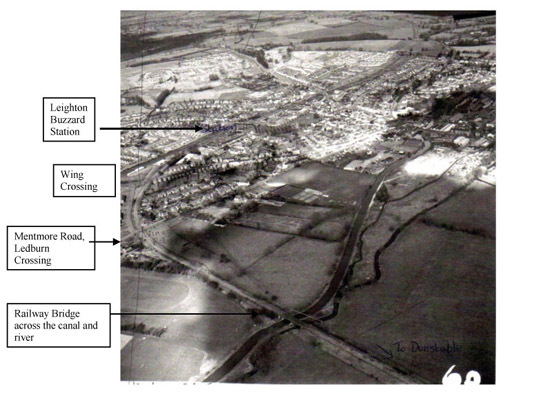 It was slow and demonstrated the need for a railway link between the capital and the industrial midlands. This would be the first trunk railway to be built in the whole world. The journey time from Birmingham to London became six and a half hours by train; compared with 13 hours by stagecoach. The London to Birmingham Railway is 112 miles long. Build cost per mile £50,000, five years to construct, labour force 20,000 men. It was built and opened in stages. The Tring to Denbigh section, which included Leighton Buzzard, opened for traffic on 9th April 1838 and the whole line from London to Birmingham was completed in October 1838. (Queen Victoria’s coronation took place on 28 June 1838). Coal was offloaded from canal barges onto trains and the laden wagons took it to the gasworks in Dunstable and picked up chalk and lime from the Tottenhoe quarries and Sewell lime works on the way back. Other freight traffic was light; some farm produce and animals. As freight in and out of Leighton Buzzard grew and the sand industry expanded, a sidings was built at Grovebury. Land was purchased south of the station for more sidings and a goods facility which opened in 1874. It was known as Wing Yard. Freight trains backed up from the sidings to Leighton Buzzard and then onto the main line. As the Branch Line grew in importance, six private sidings were built between Billington Road crossing and Grovebury crossing. By 1858, the line was extended to Luton and the passenger traffic increased as workers travelled from Leighton Buzzard and Dunstable to the factories in Luton. In 1860, a line opened from Luton to Welwyn. Grovebury Sidings was a large railway freight depot near Leighton Buzzard, where sand from the local pits was transferred onto freight trains at Billington Road for onward transport via the main line to the Midlands and south to London. It was carried to the sidings by road, on carts hauled by steam tractors, which caused congestion on the roads and a constant need for road repairs. Sand quarry owners had to pay a toll for the carriage of the sand by rail, which was one penny per ton per mile. The sand industry was given a tremendous boost in 1914, when, with the invasion of Belgium by the Germans, the import of sand from abroad ceased. 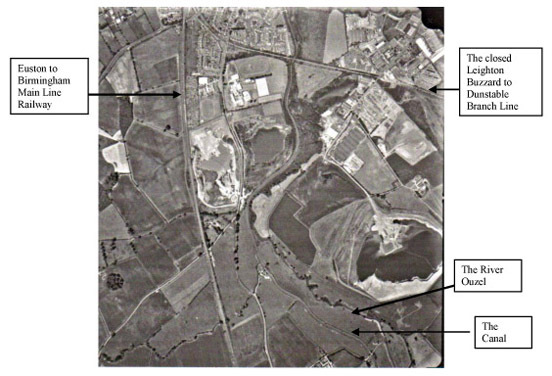 During World War One (1914 to 1918), the munitions industry required quantities of good quality sand for bomb casting, and the output from the Leighton Buzzard pits was stepped up to meet the demand. In 1919, the Leighton Buzzard Light Railway was opened for carrying the sand to Billington Sidings. The narrow gauge wagons of the light railway were shunted alongside the standard gauge wagons and the sand tipped directly into them using an“L” shaped double track gantry. By the 1930s, there were seven sand trains (a total of sixty to seventy wagons) a day leaving Grovebury Sidings and onto the main line. The amount dwindled as sand began to be carried by road on lorries. World War Two however brought a similar increased need for sand and as petrol for the lorries once again became scarce, once more rail became the cheapest and best way to carry sand. Between 1950 and 1957, British Rail built 1000 new wagons to cope with the transport of the sand and gravel from the pits in the area. The British Rail Strike of 1955 lasted seventeen days; sand from the quarries was forced onto the roads. With the opening of the motorways in England, especially the MI in 1959, quarry owners looked more and more to moving sand by road rather than by rail. Passenger numbers on the “Dasher” decreased due to a bus service between Leighton Buzzard and Dunstable and an increase in car ownership. In 1962, the passenger service between Leighton Buzzard and Dunstable came to an end. The last passenger train ran on 30 June 1962 and carried nearly 300 passengers. The line was axed under the plan for the railways drawn up by Dr Beeching. General freight movements on the Branch Line ceased in 1966. Sand movements to and from Grovebury Sidings continued until 8 February 1967. 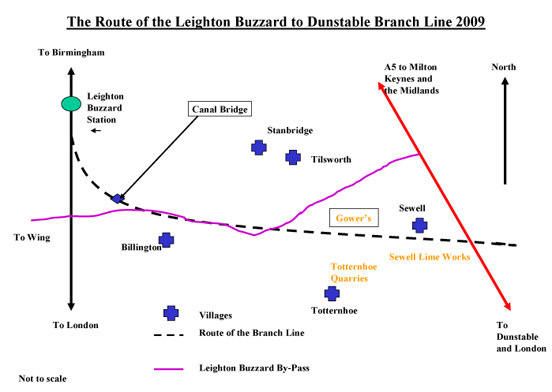 In 1969, the Leighton Buzzard-Dunstable Branch Line was closed down and most of the track dismantled. Some of the old buildings and parts of the track remain to be seen along the route, but housing estates and new roads cover much of it. In some places, the route became a cycle path or a footpath. A group of citizens is at present campaigning for the branch line to be rebuilt. The new Leighton Buzzard by-pass the A505, follows the old railway line. The remained of the Stanbridgeford to Dunstable line is now National Cycle Route number 6. The Sewell Cutting is a nature reserve run by the local Wildlife Trust). Many features of the line are still to be seen including some of the crossing keepers’ cottages, now private houses, and the bridge across the canal.